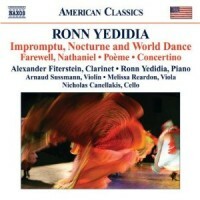 Alexander Fiterstein's new album of clarinet music by Ronn Yedidia, Impromptu, Nocturne and World Dance, was written for the birth of friends' newborn twins and is full of expressive breadth, lovely textures and a heady use of ethnic source material. Farewell, Nathaniel offers a more somber and reflective experience in music of great depth and loss. 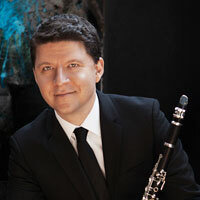 Concertino is a feast of color and vivid dance energy.